We welcome you to visit our metro Toronto retail gallery and buying offices. Here you will find Canada’s largest display of collector coins and historic banknotes, as well as in stock precious metals and a comprehensive offering of fine estate jewellery. If you have items you want to appraise or sell, our professional buyers will welcome you, and provide you the information you need to understand the value of your items and make an informed decision when selling. We hope you enjoy your visit! 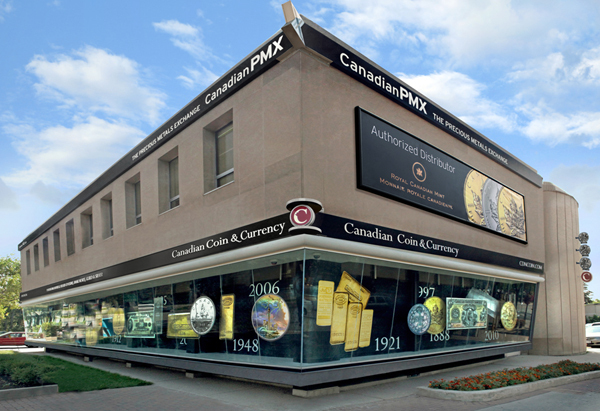 Canadian Coin & Currency is a national company, with clients in all parts of Canada, and around the world. You don’t need to be in metro Toronto to buy or sell with us. We welcome you to shop with us online and by telephone. If you have coins, banknotes or precious metals you want to value or sell, we welcome you to talk to us by telephone or email, and send us your items by mail or courier. We regularly receive collections from across the country and around the world, and we will be pleased to provide you with the same no risk evaluation and purchase offer as those visiting us in person.